“The church is not a building, a committee or a board, it’s not a corporation for the business of our Lord. We are the church.” I learned Jay Beech’s song “We are the church” at the 1991 Lutheran Youth Gathering in Dallas the summer I turned 15 and the words have stuck with me. I rarely use the word church. I replace it or at most add descriptors because I want to be clear that I am not writing about a building structure: “Welcome to worship” or “Can I tell you about my congregation?” or “Our church building is at the corner of Lone Star and Midland. Buildings require money—for cleaning and operating and maintaining. And if routine maintenance is not kept up then buildings fall apart or are saved at the last minute by burdensome expenditures and large donations. 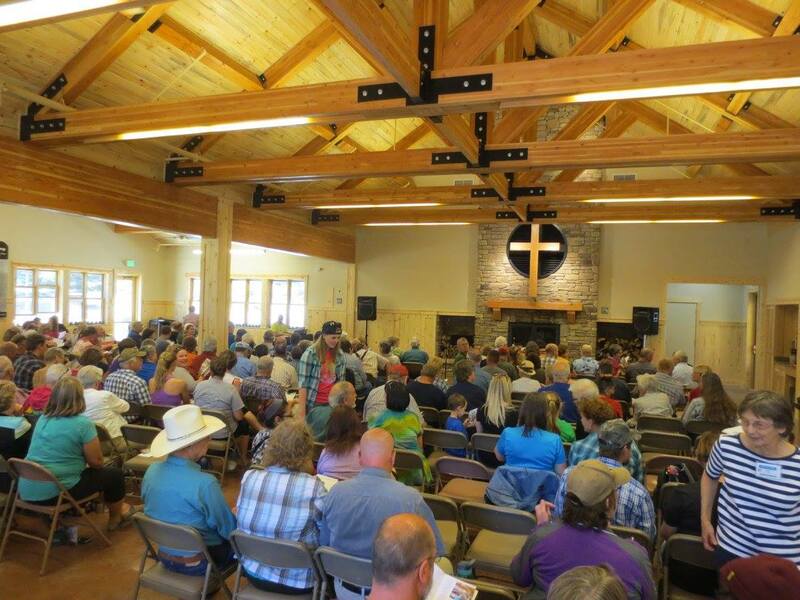 And so, on the afternoon of July 16 when I was at Luther Heights Bible Camp for the Sawtooth Lodge dedication I had mixed feelings about being so excited about a building. This is the first building project I have lived through as part of a leadership team. I began my first term on the board of directors right after the feasibility study was completed and the decision was made about how much money we needed to raise. I have come in at the end or left right before other projects at other camps. Widgiwagan, the YMCA camp in Northern Minnesota where I canoed out of as a teenager, built a brand new welcome center just before my first summer. Christikon, where I worked during my college years, expanded its kitchen and built staff housing right before I came on staff. Shortly after my final summer there, they built a new trails room and a small retreat center. Lutheran Lakeside Camp, where I served on my first board of directors, finished a brand new dining hall, with offices and storm shelter below, before my first summer in Iowa. The closest experience I had to the Sawtooth Lodge project was when I was in fourth grade. My father had just become the director of Outlaw and Atlantic Mountain Ranches, part of Lutheran Outdoors in South Dakota, when a fire burned down the original lodge. I sat on the dirt and talked with the contractors, raised my eyebrows when the guest rooms were painted pastel colors, and felt sorry for everyone when someone told them the railing height was not up to code and they would have to build an extension. 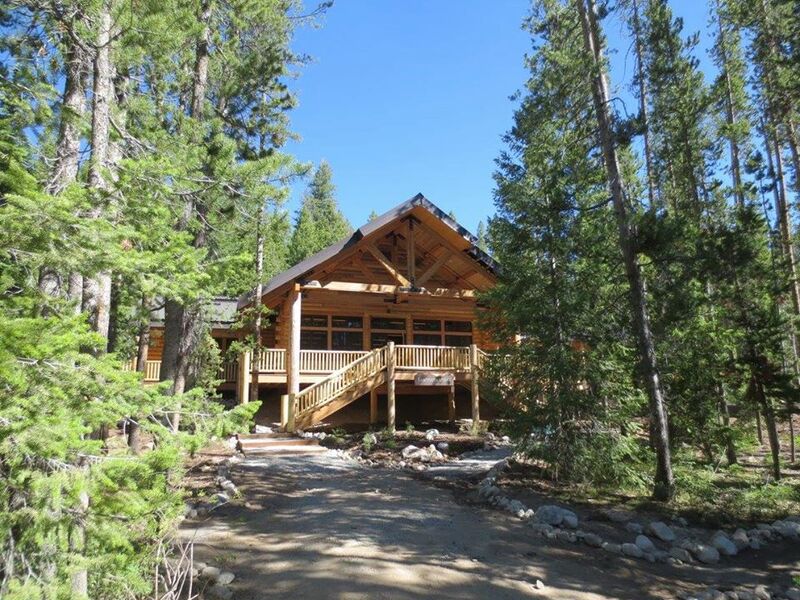 Churches and camps are not buildings but buildings are important and I am thrilled about the Sawtooth Lodge. The kitchen is bigger and safer, light pine and paint make the space feel bright and expansive and the many windows help us remember that we are in the wilderness and the screens keep out the mosquitos. This space is more welcoming than the old White Cloud Lodge. More people will come to Luther Heights because of our new lodge and with two meeting places we will be able to accommodate more people. When someone commented on the beauty of the building on the day of the dedication I responded, “Now we need to fill it up!” He asked what more was needed, what were the wish-list items that had not yet been purchased. I clarified that we need to fill the lodge with the people who are the church, the people who are looking for a church, and those who need the church to be instruments of God’s love and mercy. Perhaps the most wonderful part of the dedication day was the number of people present and the program which contained the names of so many donors. This project brought individuals and congregations from across Oregon, Idaho, and Wyoming together in a powerful way. And we all know that now that the building is standing we are called to be stewards of this facility. In a conversation with other volunteers and summer staff, we all listed the reasons new lodges should be built, chief among them the ability to provide better hospitality. Luther Heights Program Director Jon Davidson added, “plus they look cool.” Thanks to architect Martin Hale and contractor Ralph Williams, the association of Luther Heights is able to say that is most certainly true of the Sawtooth Loge. This entry was posted in Reflections, Trinity Lutheran. Bookmark the permalink. It was a wonderful dedication, overflowing with music, joy & graditude. This new lodge is a visible reminder that the people of God can make things happen through dedication, cooperation & sacrifice. Thank you, Pastor Meggan, for all you did behind the scenes on this huge project. Your past experiences made your contributions even more valuable. You make our congregation so proud.